Knowing how to make a good spaghetti sauce is a necessity in every at home cook’s life. There are plenty of spaghetti sauce jars to pick from at the grocery store that are okay in a pinch, but nothing compares to a homemade sauce that spent all day on the stove perfecting. This is a spicy sauce that is hands down the best I’ve ever made. I added turkey meatballs while cooking, which were perfect and flavorful. 1. In a large sauce pan turn heat to low/medium-low and brown butter with the fresh herbs for a few minutes. 2. 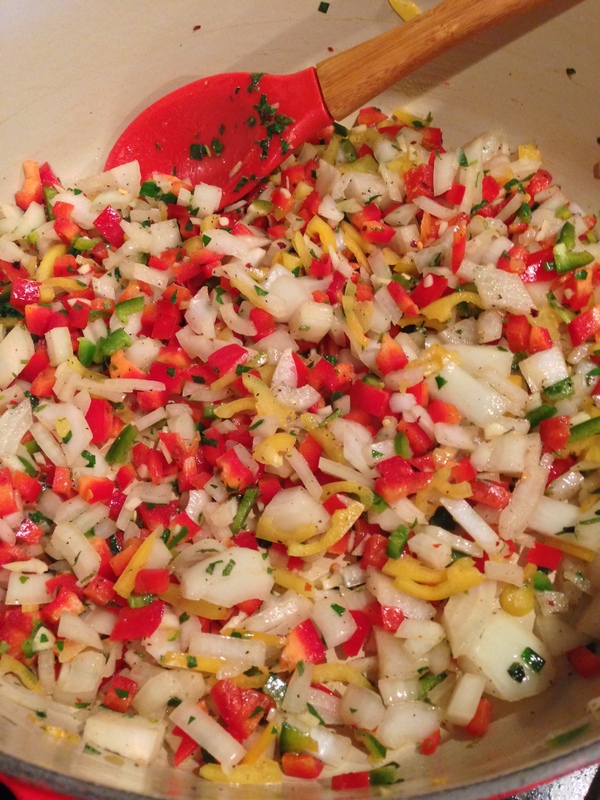 Add the dried herbs, garlic, onion, and peppers and saute for 10 minutes over medium heat. Add red wine and simmer for 5 minutes before adding tomato sauce and chicken broth. 3. Allow sauce to simmer on low for 1 hour, then puree with an immersion blender or transfer to stand up blender and blend in batches. 4. 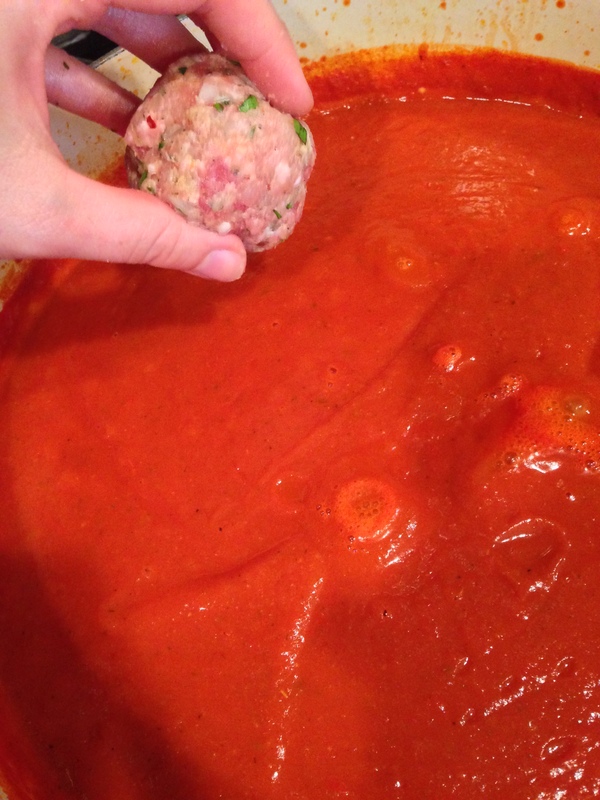 Continue to simmer while making meatballs. 1. 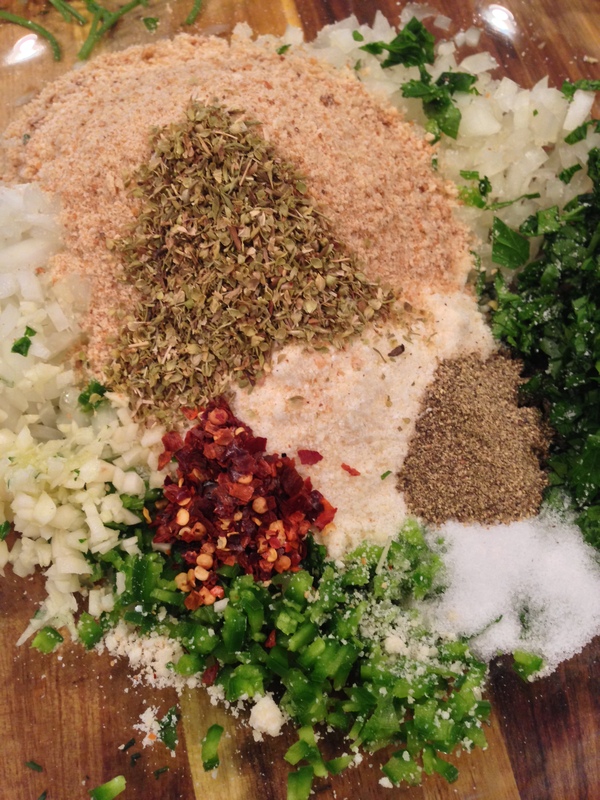 Combine all ingredients except for the meat in a large bowl, mix well. 2. Add meats and mix with hands thoroughly before rolling into balls. 3. 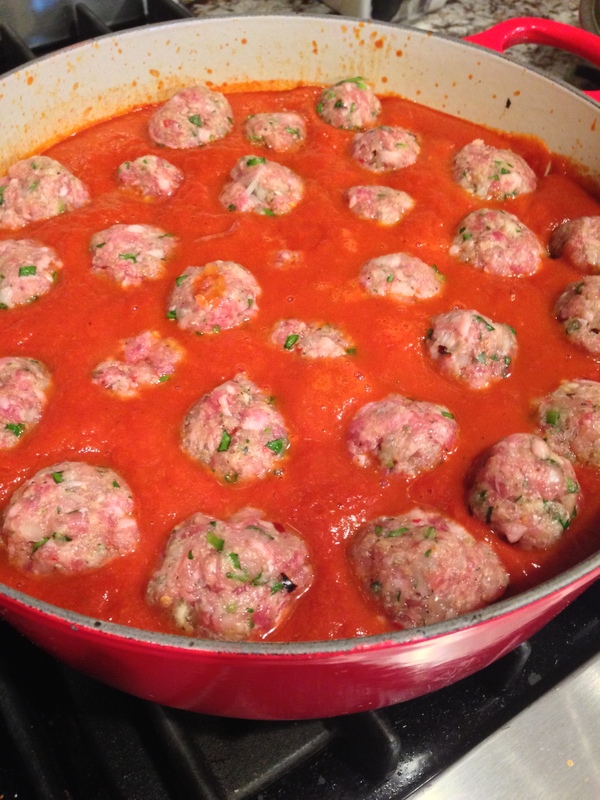 Place meatballs into pureed sauce and simmer on low for 2+ hours, stirring occasionally. I served the sauce over thin spaghetti noodles, but it is also excellent over spaghetti squash as a healthy alternative. Expect leftovers if you are serving less than 10 people. The turkey meatballs are perfect for a meatball sandwich the next day. 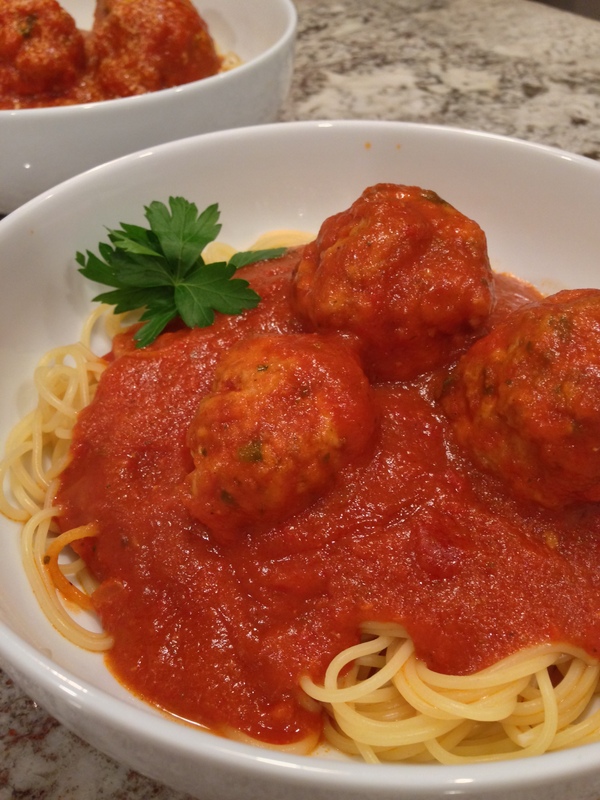 This entry was posted in Main Dishes and tagged Herbed Turkey Meatballs, Meatball, Spicy Spaghetti Sauce, Spicy Turkey Meatballs, Tomato sauce. Bookmark the permalink.